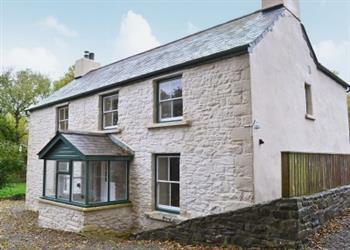 Caerllan in Llwyndafydd sleeps 5 people. Caerllan in Llwyndafydd is a National Trust Holiday Cottage which is is a detached, converted farmhouse nestling in the countryside just a few minutes’ walk from the Heritage coastline of Ceredigion and the 60 miles of coastal footpath. 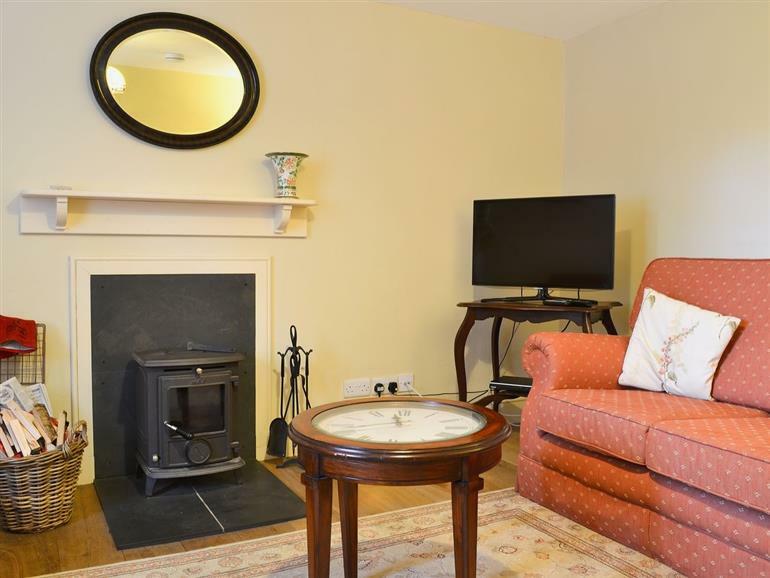 This spacious holiday cottage has been comfortably and traditionally furnished in keeping with its style and has an enclosed garden with lawn and patio. There is the added bonus of free entry to the National Trust property Llanerchaeron for the duration of your stay. This elegant Georgian villa, designed by John Nash, is set in the wooded Aeron Valley and has been little altered during the past 200 years; it is a self-sufficient estate including a farm, walled gardens and lake. Caerllan in Llwyndafydd is less than a mile from the delightful beach and old smugglers’ cove of Cwmtydu, where at certain times of the year, the cove is known as the perfect place to spot Atlantic grey seals and their pups. Discover the rich heritage as well as the culture, myths and legends of the area, and explore striking castles and picturesque market towns. The area is also a haven for walkers and lovers of nature, with red kite being a common sight soaring overhead. Visit quaint New Quay where you can take a dolphin-spotting boat trip, or the picturesque Georgian harbour town of Aberaeron, home to the famous Welsh cob horses, and where one house in every four is a listed building. There are many beautiful beaches in the area, several of which are dog-friendly all year round if you are holidaying with pets. Apart from countryside and seascapes to enjoy, Cardigan Bay is home to some amazing food and drink producers and there are great shops, cafés and restaurants to discover in this thriving region with a strong cultural identity. From the university town of Aberystwyth to tiny seaside villages, market towns to rural hamlets, Ceredigion’s towns and villages offer a warm welcome and a host of attractions and history to discover. The list of interesting things to see and do will never be exhausted. The shop is 2½ miles, with a pub and restaurant 1¼ miles from Caerllan in Llwyndafydd. Living room with wood-burning stove and wooden floor. Spacious well-equipped kitchen with tiled floor and dining area with wooden floor. Utility. Separate toilet. First floor: Double bedroom with 5ft bed. Twin bedroom. Single bedroom. Bathroom with bath, shower cubicle and toilet. For a better idea of where Caerllan is, you can see Caerllan on the map below. Caerllan is in Dyfed; should you be on the lookout for a special offer, you can find all the special offers in Dyfed. It's always worth checking to see what is on offer at the moment. Do you want to holiday near Caerllan (NT013030), you can see other cottages within 25 miles of Caerllan; have a look to find your perfect holiday location.